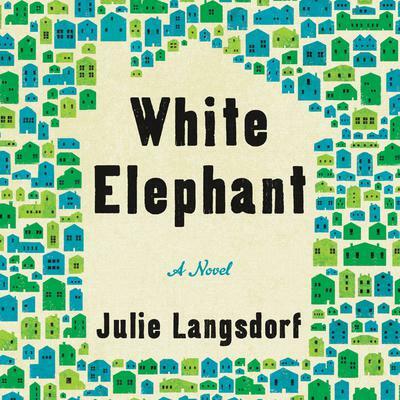 A turf war between neighbors leads to a small-town crisis in this hilarious, addictive, and sharply observant debut novel. The White Elephant looms large over the quaint suburban town of Willard Park: a gaudy, newly constructed behemoth of a home, it soars over the neighborhood, dwarfing the houses that surround it. When owner Nick Cox cuts down Allison and Ted Millers’ precious red maple—in an effort to make his unsightly property more appealing to buyers—their once serene town becomes a battleground. While tensions between Ted and Nick escalate, other dysfunctions abound: Allison finds herself compulsively drawn to the man who is threatening to upend her quietly organized life. A lawyer with a pot habit and a serious midlife crisis skirts his responsibilities. And in a quest for popularity, a teenage girl gets caught up in a not-so-harmless prank. Newcomers and longtime residents alike begin to clash in conflicting pursuits of the American Dream, with trees mysteriously uprooted, fires set, fingers pointed, and lines drawn. 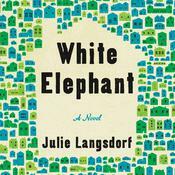 White Elephant is an uproarious, tangled-web tale of neighbor hating neighbor (and neighbor falling head over heels for neighbor). Soon, peaceful Willard Park becomes a tinderbox with nowhere to go but up in flames.